China is trying not only to establish a new world record when it comes to empty buildings but now even with construction time, the tallest building in the world in 90 days. Just wondering how long it will take to fill it up after construction. Gizmodo reports China Will Build the Tallest Building In the World in Just 90 Days. 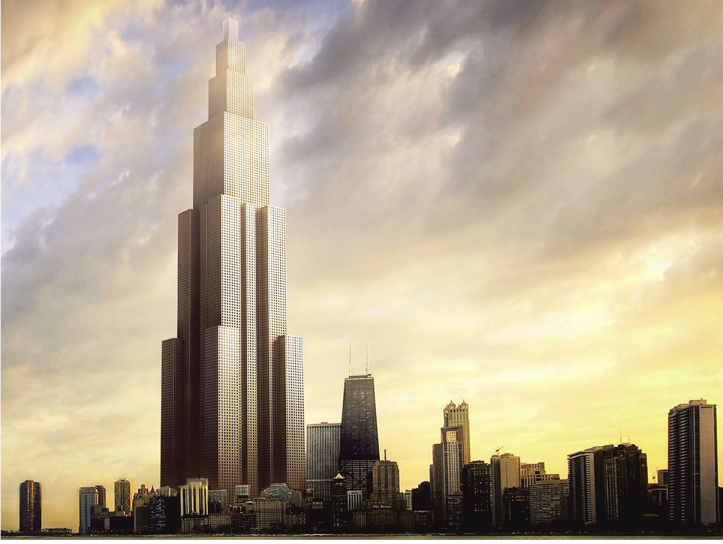 According to its engineers, this will be the tallest skyscraper in the world by the end of March of 2013. Its name is Sky City, and its 2,749 feet (838 meters) distributed in 220 floors will grow in just 90 days in Changsha city, by the Xiangjiang river. Ninety days! They will be able to achieve this impossibly fast construction rate by using a prefabricated modular technology developed by Broad Sustainable Building, a company that has built 20 tall structures in China so far, including the a 30-story hotel [constructed in 360 hours - see link for time-lapse video]. Unlike the Burj Khalifa, the tower will be mostly habitable. Its final height will be 2,749 feet high (838 meters). Compared that to the Burj's 2,719 feet (829 meters), which include the spire at the top resulting in a total of 163 floors. Sky City will use an astonishing 220,000 tons of steel. The structure will be able to house 31,400 people of both "high and low income communities". The company says that the residential area will use 83-percent of the building, while the rest will be offices, schools, hospitals, shops and restaurants. People will move up and down using 104 high speed elevators. The record figures don't stop there: in addition to the 90-day construction time—as opposed to the 210 days initially reported by the Chinese media—the company claims it will cost $1,500 per square meter as opposed to the Burj's $15,000 per square meter, all thanks to the prefab technology.